Five Generations on the same farm! 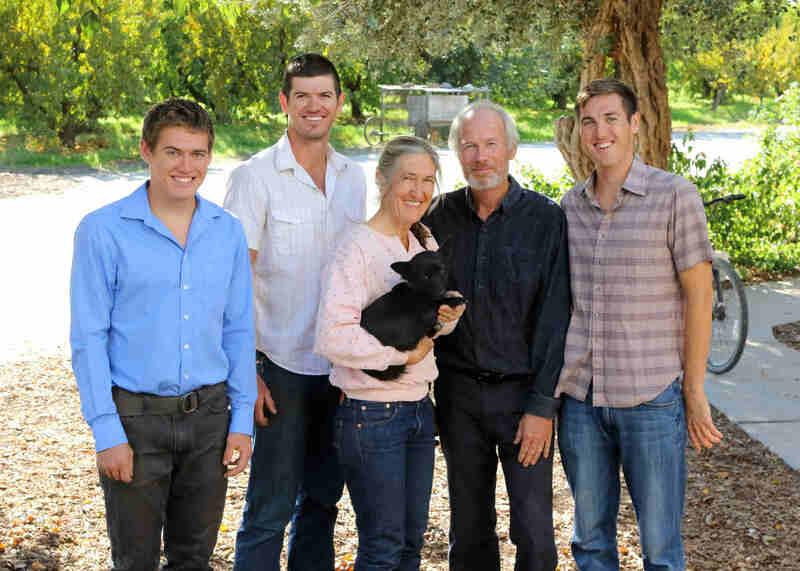 Begun by the Ewy family in 1912, our sons Alex, Nicholas and Peter are the fifth generation to work this same productive farm in Parlier CA. 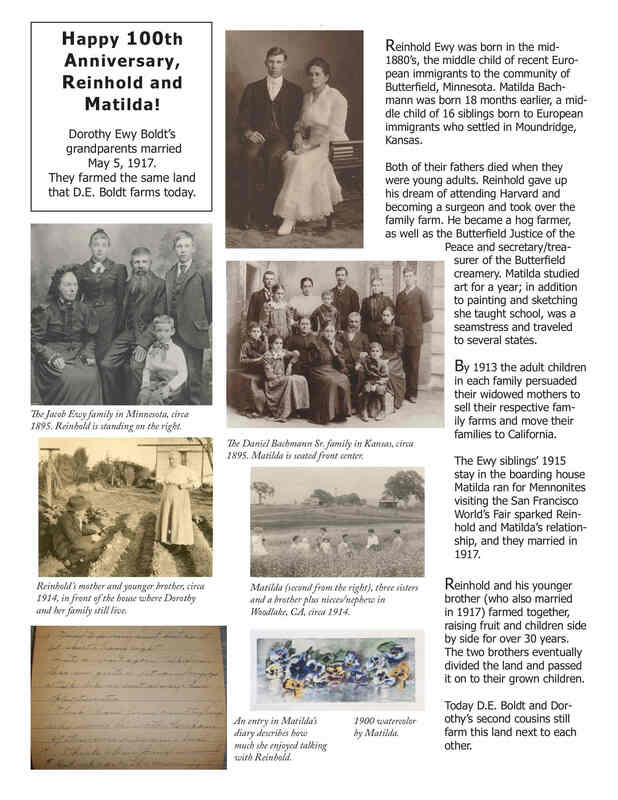 In 2013 we marked the 100th anniversary of the founding of our farm by Dorothy's great-grandmother and her three children. 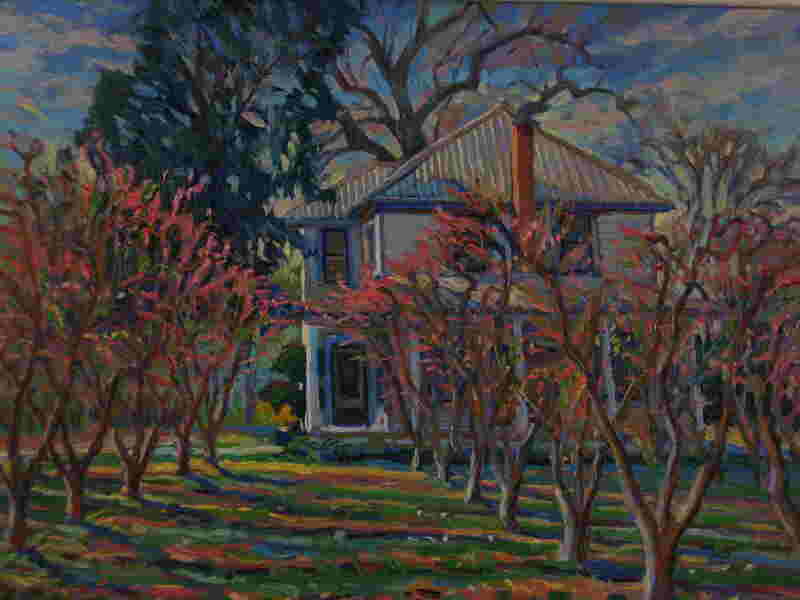 Renowned local artist Paul Buxman painted this picture of our house with the nectarine trees in full bloom.